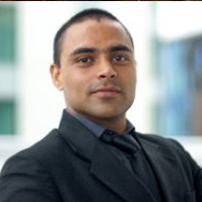 Consultant at Singhania & Co.
Praveen is a lawyer with education, qualification, expertise and experience of over a decade in India and UK. He is an expert of pre-emptive strategies and structure transactions to maximise opportunity while minimising risk. He is regularly providing legal support focused on international commercial business activities, protection of IP right, contract negotiation, joint venture, corporate commercial law and related dispute resolution. He is advising overseas entities on international ventures, market entry options, legal and regulatory compliance. He has taken up pro-bono work with Solicitors pro bono group LawWorks. He frequently takes part in half marathons, 10Ks and other runs to support charities. He is coordinator of Indo-European Business Forum (IEBF), and British-Asian Fashion Network (BAFN). Praveen is part of blog TheLawMap (www.thelawmap.com) which has achieved over a million views on Google+ with a daily readership of nearly 10,000 and over 10,000 twitter followers.